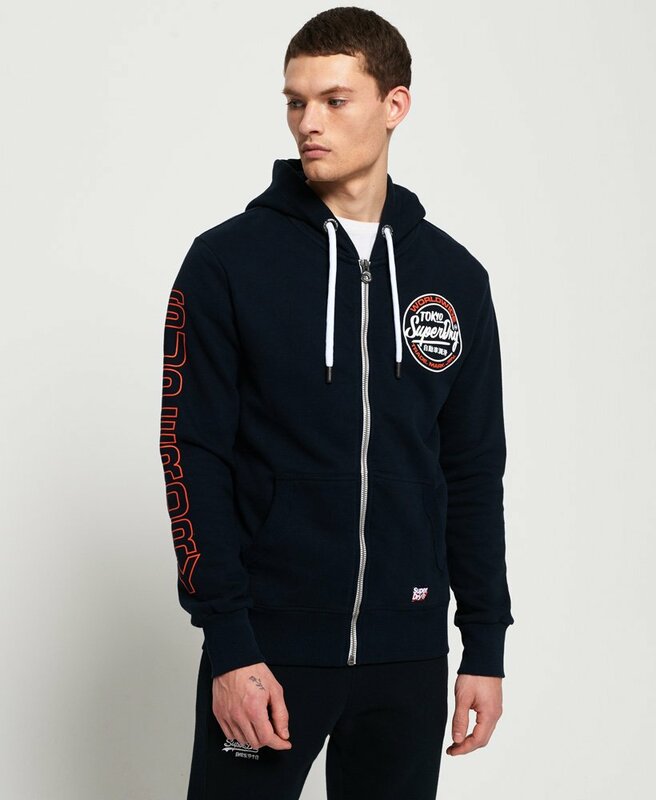 Superdry men's Ticket Type zip hoodie. Perfect for layering, this zip hoodie features a drawstring hood, twin front pockets and logo design on the chest. 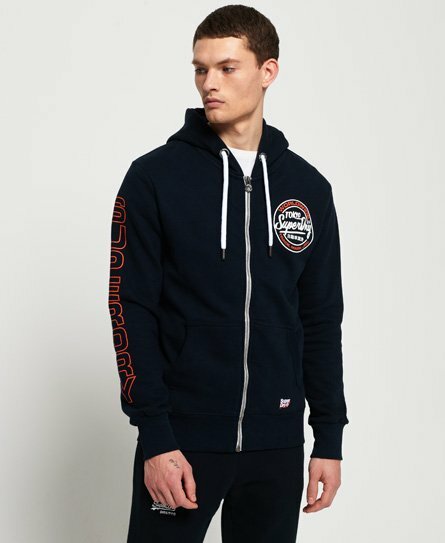 The hoodie is completed with a logo design down one sleeve, logo badge on the pocket and a super soft lining for your comfort.